Introduction: From their original Helium series to their custom, made to order Z-Bones, to the recently reimaged Magnesium 2 and countless series in between, Kistler Custom Rods has never shied away from the opportunity to make some noise in the bass fishing market. Not all of their product plans have necessarily worked out, but once they partnered up with North Fork Composites for a stable, reliable, high quality provider for their blanks and brought the majority of their rod builds back in house, everything has stabilized and that's a reflection of the high quality product now leaving their factory. Today we take a look at their new flagship line, the ZBone LEXF. Quality/Construction: Once only available as a custom, made to order rod, the ZBone is now available in several stock builds. For our review, we're taking a closer look at their Search for One candidate in the LEXF-3MH-70, a seven foot (7'-0") stick built on a North Fork Composites HM Graphite blank. Like the majority of Kistler's domestic builds, the LEXF-3MH-70 features a sanded but unfinished blank. The rod's grip is made from a composite cork material and is in a split rear grip design. There's a bit of cork on the reel seat locking mechanism that visually serves as a foregrip. Looking down the length of our test subject reveals a very straight blank with perfectly aligned guides. Kislter's ZBone LEXF sticks are built on a North Fork Composite blank with Fuji KSeries Micro Guides. Kistler builds the stock ZBone with Fuji Micro guides so in my advancing age, I had to take out my reading glasses to see the tiny guides and inspect the epoxy work. As expected, the epoxy around the thread wraps is just the right amount with clean and precise edges. 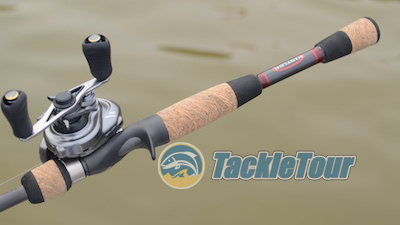 Performance: A high end fishing rod deserves to be paired with an equally high end fishing reel so for the majority of tests with this stick, I acquired a 2015 Shimano Metanium DC casting reel. Casting: The LEXF-3MH-70 caries with it the prototypical "medium-heavy" lure rating of one quarter ounce to three quarter ounce (1/4oz - 3/4oz) despite being outfitted with Fuji KSeries micro guides. 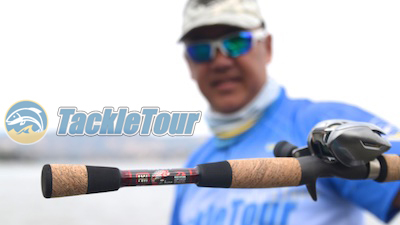 Sometimes micro-guide outfitted builds will have lure weights tweaked to handle slightly lower and higher numbers. 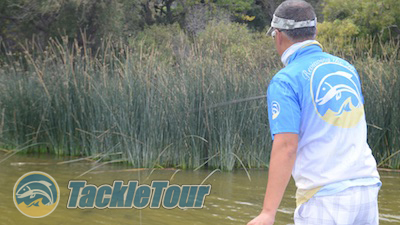 Pitching to some tules in Clear Lake, CA. 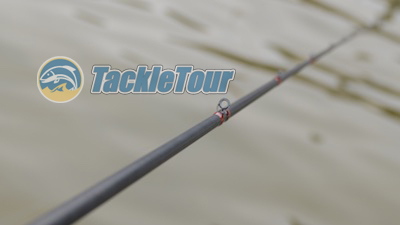 Nevertheless, this stick handles baits in that range very well in both casting and pitching situations. It has a really nice tip that lends itself well to pitching presentations and thanks to the rod's weight and balance it's really easy to pitch with for extended periods of time. 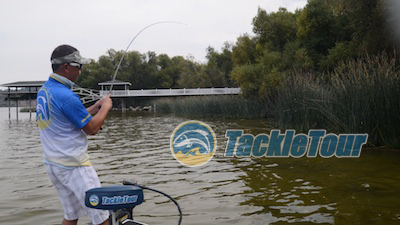 The Metanium DC reels makes for an excellent paring with this rod. Sensitivity: If you were fortunate to fish G.Loomis's original GLX blanks, you'll remember that at the time, there was no more crisp and sensitive a blank as GLX. Kistler's ZBone rods are built from North Fork Composite's highest end HM blanks. These blanks have that same old school feeling. Sensitivity on the LEXF-3MH-70 is reminiscent of my old school MBR843C GLX and maybe approaching the feel of the MBR842C GLX. Double checking the rod's tip. Power: The LEXF-3M-70 charts out almost identical to the MBR843C GLX that we use in our baseline RoD Deflection chart for bass rods that fit the all purpose category. 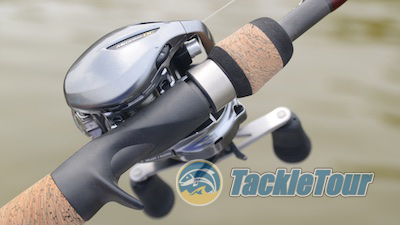 It feels a tad lighter power in hand while you're fishing with it. The discrepancy might have something to do with the rod's extra-fast taper, but whatever the case, this rod is more of a play the fish out rather than horse it back to the boat type of power. 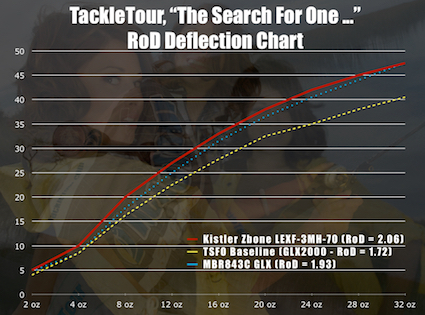 Fig 1 : The chart above illustrates the deflection characteristics of our Kistler ZBone LEXF-3MH-70 against our 2010, The Search for One baseline rods. 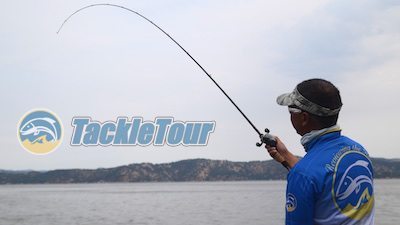 Hooksets are sure and tight with this stick when you swing, but it gives a little more than you might think once under load - in a good way. I never once felt out of control by my catch but I also didn't feel the power behind the stick to horse it to the boat. Again, this is very reminiscent of the old school GLX. Landing that first fish on this stick!